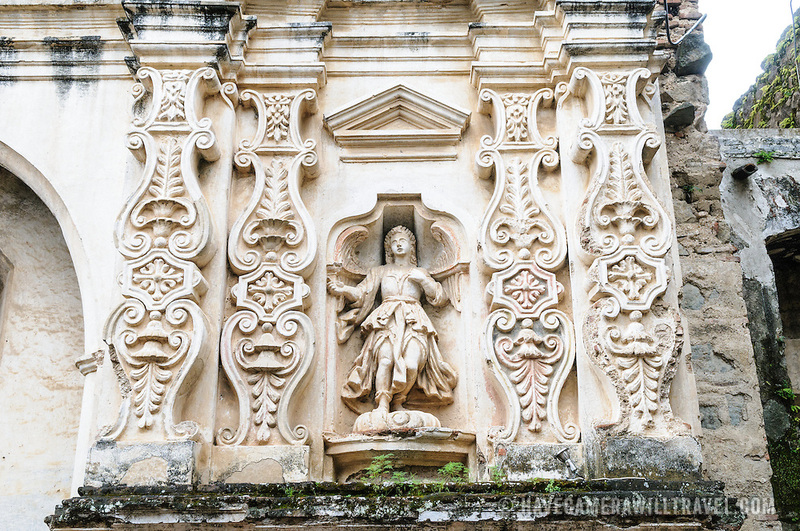 Ornate religious decorations on the exterior of the monastery and church of Santa Clara (Saint Clair) in Antigua, Guatemala. The original foundation dates back to 1700 and the church was consecrated in 1715. It was run by nuns from the Second Franciscan Order of Poor Sisters of Saint Clair. In 1717 the earthquake of San Miguel caused extensive damages to the building. The church is now in ruins and is no longer a functional church.